This hydrating, crunchy green veggie makes for a great dipper, salad or sandwich topper, and can make any cocktail delightfully refreshing. The English variety is longer and thinner with a thin skin that does not need to be peeled. In addition to using cucumbers in salads and as sandwich toppers, this mild, crunchy veggie is actually delicious cooked as well. Peel and slice cucumbers, then sauté in a bit of melted butter. Sprinkle with salt and some chopped fresh herbs for a fun side dish! 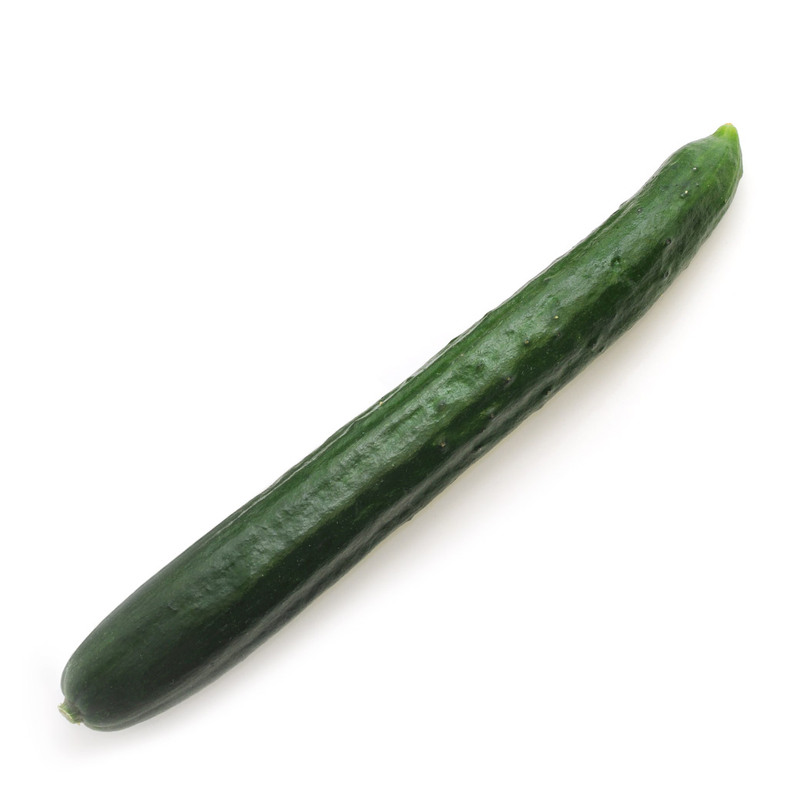 Contrary to popular belief, cucumbers are best stored on the counter and consumed within a few days. Because they are sensitive to temperatures below 50°F, if you want to store in the refrigerator try wrapping each cucumber individual in a paper towel, then place them in a plastic bag. This will keep your cucumbers fresh and crunch for several days!